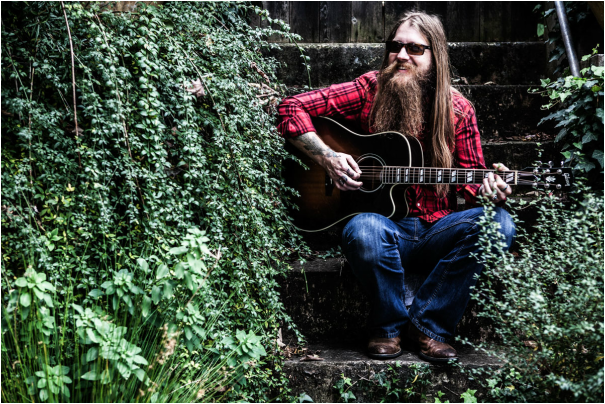 In continuing to document the Atlanta-Savannah Americana/Roots circuit, I reached out to Atlanta’s Reverend Hylton about his current tour, and what the latest news is from the road. The following interview is an email response to five questions that I asked. He’ll be performing this July with my band Waits & Co. at Bluffton, South Carolina’s newish venue Roasting Room Lounge & Listening Room. By clicking on this highlighted Stubborn Nail you can preview Justin’s new album. HL: How’s the tour going, have you met some interesting folks along the way, and is touring a regular part of your ‘doings’? RH: The tour has been a lot of fun! I left on March 4th and today is April 17th so it’s been a decent one. I think touring is one of the best parts of what I do. I get to travel all over the place and play music. I run into so many great and interesting people along the way from the people I get to play with to the people I get to play for. It’s always an adventure and I love it! This is the fourth tour I have been on in a little over a year and I have no intention of quitting. It is definitely a part of my life now. HL: Since this tour is in support of your new album, can you tell us a bit about it, the inspiration behind the songs, who else was involved with the recording, and what other ‘work’ do you have out? RH: This tour in support of my new album, “Stubborn Nail”. It is my first official release as Reverend Hylton. I was in a Jam Band a few years back called Three Down Crew. This album takes me back to my roots. After spending years doing many other projects it was time to get back to where I come from. Learning to play guitar from my Grandfather as a teenager, we would pick on the front porch for hours. I immediately started writing and I have been through all the ups and downs since then. The inspiration for the songs come from my life experiences. The good, but mostly the hard times and finding a way to make it out the other side. This album was recorded at Unity Studio just outside of Atlanta. I brought on Robert Green to engineer and help produce. I wanted to make a simple album and he helped out tremendously. He also plays the base on some of the tracks. On harmonies and fiddle is Jessica Almand, my partner in a project I do called Nine years apart. I love singing songs with her and see brings so much to this album. We also brought in Atlanta’s super player Jenna Mobley to play some strings, including violin, cello, and viola on a couple tracks. HL: Given that a lot of your music is autobiographical is writing songs a cathartic process for you. If so, what do you hope that the listeners will take away from your songs? RH: Absolutely! I’ve always said if I didn’t have my music I would be that bad kind of crazy. It’s always helped through the rough times. I definitely feel blessed to have that outlet. I know my music isn’t for everyone. I hope for the people that do relate to it, that they find some hope. We’ve all experienced hard times in our lives and I am no exception. I am lucky to have found a way out of those hard times and I hope people can hear that in my music. HL: Why does performing live music matter to you, and how long have you been a ‘working’ musician? RH: Performing live is where I feel most at home. It’s where I feel I do my best stuff. it’s really hard to capture that in the studio. There is nothing like feeling that intimate relationship with the people that are listening to you. I have been performing live for probably 15 years. In my twenties i did a lot of traveling and playing music. Two years ago I quit my day job and went back to playing music full time. There is nothing glamorous about what I do but I am doing what I love and wouldn’t want it any other way. HL: What is the Americana/Roots Music scene like in Atlanta? RH: The Americana/Roots scene in Atlanta is awesome! Every time I turn around there is some new songwriter or band doing something great. It just keeps on growing and I really feel like it’s becoming a strong family of people who just want to lift each other up. It’s getting to a point where you can go out almost every night and see one of your friends doing their thing. To me that’s really important; community.